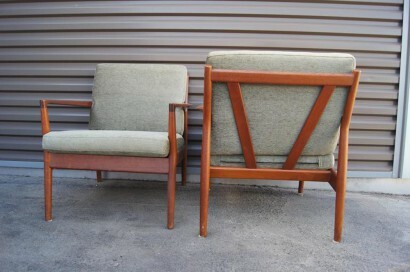 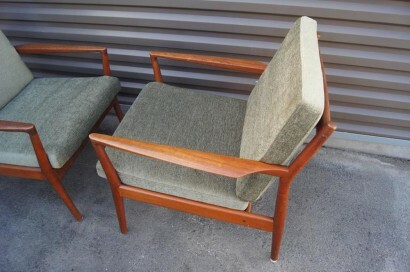 Created by Borge Jensen & Sønner for Bernstorffsminde Møbelfabrik, this pair of Danish Modern lounge chairs offers a striking profile. 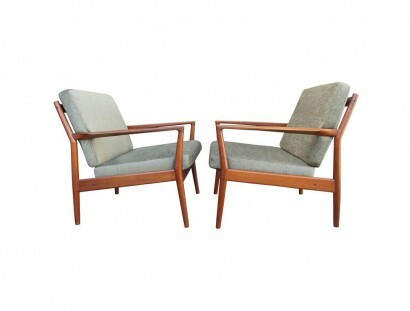 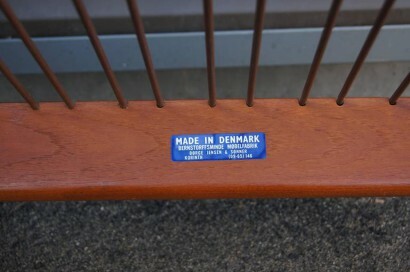 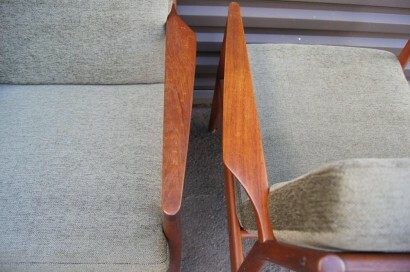 The solid teak frames feature tapered armrests and canted V-shaped backs for a comfortable yet elegant seat. 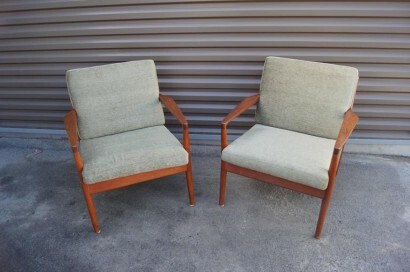 The chairs have been newly reupholstered in a lustrous jade green textile.